Rural businesses in Cheshire East are being encouraged to apply for a share of a £5.4m injection via three significant funding streams in 2018. The funding boost – across Cheshire and Warrington – was announced at a rural business forum held today (Wednesday) at Reaseheath College, Nantwich. The forum was hosted by a partnership group comprising Cheshire East Council, Cheshire East’s arms-length Skills and Growth Company, the Cheshire and Warrington Local Enterprise Partnership, Cheshire West and Chester Council and the Rural Payments Agency – a government service set up to support the rural economy. The rural development programme for England has launched a number of grant opportunities, which are now open for applications from businesses across Cheshire. Businesses including farmers, foresters, rural enterprise communities and land managers can apply for business growth and development grants from a £2.4m pot of money allocated to the ‘Leader’ programme, the Cheshire-wide scheme which distributes European funding in rural communities. A further £2.4m is available for business development, food processing and rural tourism through the Growth Programme which is administered by the Rural Payments Agency on behalf of the Department for Environment, Food and Rural Affairs (Defra). This grant scheme is more generous and covers up to 40 per cent of the overall project costs for an eligible application. Rural businesses can also source faster broadband connectivity through a £600,000 voucher scheme worth up to £4,000 per company, as part of the Connecting Cheshire Digital Plus Programme. Councillor George Hayes, chairman of the council’s Skills and Growth Company said: “Cheshire East’s dedicated rural business support programme is working with many businesses to help create jobs and economic growth. Our ongoing investment in rural broadband and skills will also help to ensure Cheshire can retain its position as one of the best locations in the country for rural businesses. Cheshire has a strong track record of nurturing rural growth and the Country Land and Business Association’s (CLA) most recent survey names Cheshire as the best county in England in which to run a rural business. Cheshire East Council actively supports a strong and resilient rural economy with thriving, supportive rural places and communities. The council and its Skills and Growth Company help to attract and facilitate delivery of grant programmes such as ‘Leader’ and provide guidance to the local enterprise partnership through a rural strategy board. The rural business support service delivered by the council’s Skills and Growth Company can assist with advice and guidance on funding opportunities, practical support with submitting applications, recruitment and skills and development. The company can also assist with sourcing property in rural areas or advise on planning and regulatory services. Contact the service via email: business@skillsandgrowth.co.uk or call: 0300 123 5001. Cheshire East Council has published its ‘local account’ detailing its achievements in adult social care and the challenges it faces. Cheshire East is a great place to raise a family – to live, learn and to work. But it is also a borough with an ageing population. At 26.9 per cent, the borough has a far higher percentage of over-60s than the national average at 22.7 per cent. More than half the council’s entire budget goes into supporting the vulnerable in the borough – both young and old. Together with partner agencies, the council has engaged with people who need social care support, carers and the public, focusing on a number of topics, which has given the council rich information about the services the council provides to them and what they would like to see in the future. While the council continues to deliver essential services to those most in need, it also delivers services that support a good quality of life. Mark Palethorpe, acting executive director of people, said: “Our ‘local account’ for 2016/17 is a summary of the adult social care service’s activity, working with our partners from the health sector and especially the voluntary, community and faith sectors, to support vulnerable people who have adult social care needs. The ‘local account’ is a key part of the process of transparency and accountability to local residents and reflects the council’s aspirations for the way it provides adult social care, aiming to be person-centred, giving residents independence and choice, quality of care and a sense of safety and protection. The ‘local account’ is intended to be a report written for residents as well as council officers and service providers and is seen as a benchmark for future development. The Wistaston Memorial Hall and Community Centre on Church Lane in Wistaston now has a defibrillator at the front of the hall. The management committee hopes that it will never be used, but it is available in an emergency for people using the hall, members of the tennis club, members of the bowling club and the immediate local community. It has the potential to save a life. The defibrillator was purchased with a £1,300 grant from Baker Wynne & Wilson estate agents under their 25th anniversary community pledge. Nick Blair from the First Response team had led a meeting at the hall for local groups to be shown how the defibrillator worked. On Thursday 30th November 2017 Simon Morgan-Wynne, representing Baker Wynne & Wilson, officially opened the defibrillator for use. Two members of the First Response team (Gavin Palin and Max Kelly) were also present at the ceremony. The hall was represented by John Cooke (President), Diane Edge-Robinson who had arranged for the defibrillator to be purchased, and Bill Heath who had overseen its installation. John White, Chairman of the Hall’s Management Committee, said: “We are so grateful to all those people who contributed to this important lifesaving equipment. We were able to show our gratitude by inviting the three guests to join us for festive mince pies and coffee after the unveiling”. This week, we urge residents to consider joining the council’s trading standards’ ‘nominated neighbour’ scheme. 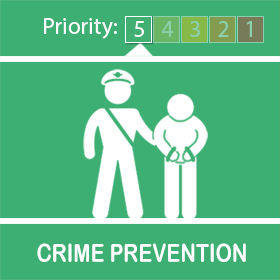 The nominated neighbour scheme has been developed to tackle bogus callers, rogue traders and other means of distraction thefts and burglaries. The project enables people to be protected by someone they know and trust, such as a neighbour or relative. The vulnerable person is given a card they hold up to a window or door, which advises any unidentified or unexpected caller to go to the address of a nominated neighbour or speak to them over the phone. This person will then check the caller’s identity. Councillor Janet Clowes, Cheshire East Council cabinet member for adult social care and integration, which includes responsibility for safer communities, said: “This scheme helps people within our communities feel safer in dealing with unwanted or unexpected people who call at their homes. In turn, it protects our residents and reduces incidents of doorstep crime. “When the nominated neighbour card is shown to the caller, it replaces any need for the occupant to speak with that person. While it is older and vulnerable adults who are more at risk from becoming victims of doorstep crime, anyone can be targeted. That’s why all Cheshire East residents are urged to consider joining the scheme. For further winter wellbeing advice, visit: www.cheshireeast.gov.uk/livewell and scroll down to the winter wellbeing section. Residents and businesses can find out how Cheshire East Council and partner agencies will deal with any threat of flooding in the future – following publication of the authority’s flood risk management strategy. As a lead local flood authority, the council’s responsibilities are outlined in the local flood risk management strategy, which identifies measures to be undertaken by all partners, including residents, to reduce the risk of flooding in Cheshire East, to protect homes, businesses and other infrastructure. The strategy increases awareness of flood risk in the borough, from surface water, groundwater and watercourses. It also aims to reduce the impact of flooding and increase resilience in the community. The council has finalised its strategy using feedback from residents following a public consultation carried out in August and September. Responsibilities include the recording and investigating of incidents of ‘significant’ flooding and identifying structures and features which could have an effect on flood risk. Cheshire East Council has approved a new constitution – the legal framework of the authority which sets out the rules and procedures it must follow. It is the first update to the constitution since the council was formed in 2009 and comes into effect on 1 January 2018. It seeks to make the operation of the council more cost effective and strips out a lot of processes that are considered cumbersome and which impede the efficient running of the authority. Whittled down from 500 pages to less than 300, it is seen as uncomplicated and written in a language that is easy to understand. Approved at full council on Thursday (14 December), it determines how decision-making committees are constituted, how decisions are made and how the work of the council is put under the microscope through scrutiny committees and the ‘call-in’ procedure. Councillor Paul Findlow, cabinet member for corporate policy and legal services, said: “We have listened to all the views of members and officers of the council through a series of workshops and meetings and we have received the expert advice of consultants Bevan Brittan solicitors. “We believe that the proposed new constitution, which will be flexible and subject to further change where necessary, is fit for purpose, follows best practice and is far easier for everyone to follow and understand. A council’s constitution ensures that it complies with all relevant statutory requirements placed upon a local authority. A spokesperson for Cheshire East Council, said: “The council’s Director of Legal Services and Monitoring Officer, Bill Norman, has today tendered his resignation with immediate effect. Mr Norman’s resignation has been accepted. Recruitment to the permanent position of Director of Legal Services and Monitoring Officer will be progressed as soon as is practicable. The Chairman of the Investigation and Disciplinary Panel said: “The IDC met today and, as a result of this resignation, has concluded its business with regard to Mr Norman. Cheshire East Council’s cabinet has toured the borough this autumn – meeting local community groups and visiting the newly-appointed Connected Communities centres. The tour was designed to give cabinet the opportunity to see the results of various projects and initiatives and also get to hear first-hand some of the challenges that people and communities have in their areas. ● Audlem Village Hall (Connected Communities centre). Councillor Rachel Bailey, leader of the council, said: “As the team taking decisions on behalf of local communities, it is absolutely vital that we keep in touch with what’s happening on the ground and see where things are working and where there needs to be improvements. The council set out its Connected Communities Strategy in December 2016. This explains how the vision to make the borough a great place to live, work and visit is linked to how the council will work with communities to ensure that the right services are in the right places. The council also pledged £150,000 to support the opening of 30 Connected Communities centres across the borough, encouraging local neighbourhood partnerships and community centres to increase the number of services available at their centres and provide a valuable local resource for everyone. Each centre also helps people to access the council’s new ‘Live Well’ community website, where there is information and contact details for a whole host of local groups, support services, leisure and health activities. The Rev Tim Robinson, of St John’s Church, Weston Estate in Macclesfield, said: “Becoming a Connected Communities centre is already paying dividends. For more information on the council’s work in communities, including neighbourhood partnerships and the new connected communities centres, visit the council’s website at: www.cheshireeast.gov.uk/communities or email: Communities@cheshireeast.gov.uk or phone 01270 685880. Almost 1,000 tonnes of salt were used to treat Cheshire East’s roads over the weekend after heavy snow and freezing temperatures hit the borough. Snow began to fall in Cheshire East on Friday, with much of it seen in the south and west, as well as on high ground. Since then, highways teams have been working round the clock to keep the network moving and have continually been monitoring the weather conditions. On Saturday, highways teams carried out four full treatments of the network and hand gritted in town centres. Yesterday, treatments were carried out in the morning and afternoon, with four routes in the south receiving an additional treatment. Highways teams also stepped in and ploughed along the A534, near the Bickerton Poacher, after a small number of vehicles became stuck in the snow. Today, the network has already received one full treatment and all main routes are currently clear. Hand gritting is also being carried out in town centre and footpaths are being checked. The council’s adverse weather desk has also been in action 24 hours a day over the weekend. Councillor Rachel Bailey, leader of Cheshire East Council, “I’d like to thank staff for their hard work over the weekend in helping to tackle the effects of the heavy snow and freezing temperatures on our roads. “While we’ve already used almost 1,000 tonnes of salt to treat the road network, we will be receiving fresh deliveries today and later this week and still have more than 4,000 tonnes in stock. “Almost 750 miles of road are treated each time we grit but we cannot ensure that all roads will be clear of snow and ice. I therefore urge residents to take care in adverse driving conditions or when out walking. The Met Office has advised that daylight temperatures across Cheshire East will be between 0C and -2C today, falling to between -4C and -10C overnight. Tuesday is expected to be another cold day. Cllr Bailey added: “It was great to see so many families out enjoying the snow this weekend. However, it’s important to remember that not everyone copes well in cold weather, so keep in touch. The service can also be contacted on 0300 123 5020 for any enquiries or to report debris on roads and other hazards. Cheshire East Council is inviting businesses from across the borough to learn about the business support and funding available for growth projects. The free-to-attend lunchtime event on 25 January, provided by the authority’s arms-length Skills and Growth Company, will have guest speakers discussing the funding available to help your business grow. The event will cover the practical support available to improve your chances of securing finance, as well as the government-backed lending scheme Northern Powerhouse Investment Fund (NPIF), which has been set up to provide more than £400m of investment to businesses. After the speakers there will be a networking lunch, where there will be an opportunity to meet with a range of funding and business support specialists. Speakers at the Alderley Park Conference Centre event will include representatives of The British Business Bank, The Skills and Growth Company’s ‘access 2 finance service’ and successful grant applicants, who will share their experience of applying and receiving grant funding. This will include a panel discussion from the speakers, with a question and answer session. Nantwich-based Frank Olsen Furniture will be one of the businesses taking part following their £25,000 funding from the NPIF, which is helping fuel their growth and create new jobs. Alternatively, call the Skills and Growth Company on 0300 1235001. Cheshire East Councillor George Hayes, chairman of the Skills and Growth Company, said: “This event offers expert insight and advice into the range of support available to businesses looking to grow. This week, we urge residents to make sure they access the right health services for their needs. During the winter months, health services can become overwhelmed through greatly increased demand. ● Make an appointment with your GP if you are feeling unwell and it is not an emergency. If you’ve been prescribed antibiotics or other medication, don’t forget to pick up your prescription before the Christmas holidays start, as many GP surgeries and pharmacies will be closed during that time. Make sure you also speak to your pharmacist about medicines you should have in stock to help get you and your family through the winter season. Also check to see if older neighbours, relatives and friends have the medication they need. If you do need help over the holiday period, when your GP surgery or pharmacy is closed, call NHS 111 or visit: www.nhs.uk, where you can be directed to a local service that is open. Councillor Liz Wardlaw, cabinet member for health at Cheshire East Council, said: “Residents have a range of services they can access if they feel unwell or need advice during winter. But it’s important that the services they do access are appropriate to their needs. Of all the seasons, winter requires the most care and preparation if you're to stay safe. Please be prepared in case the bad weather strikes in your area of Cheshire. In snow or icy conditions, it will take longer to stop - always drive at a speed appropriate for the conditions. In winter it's even more important to check your vehicle is well maintained and serviced. Being snug and cosy in your home will help protect your health. Being too cold can cause serious problems for your breathing and lead to bad chests. Sitting for long periods of time in a cold home puts pressure on your heart and blood circulation too. This can lead to very serious problems such as heart attacks and strokes. Older people who may be frail or have existing health conditions are particularly at risk. We are asking everyone to remember the needs of friends, relatives and neighbours who could be at risk. The consultation on our draft Integrated Risk Management Plan (IRMP) for 2018/19 is underway and will last until Tuesday 2nd January 2018. During this time we will consult with the public, key partners and stakeholders and members of staff. The draft plan follows on from the Service’s second Emergency Response Review, which was initially consulted upon last year and is underway at the moment. Work to examine several options as part of that review continues and are explained in further detail in the draft Plan and summary document, which can be found on our website. Ensure all staff, not just finance teams are aware of this fraud. Always verify email payment changes to financial agreements with the organisation directly using established contact details you have on file. If called ask the caller to give you a main switchboard number for you to be routed back to them. Alternatively, hang up and call them back using established contact details you have on file. Have a system in place which allows staff to properly verify contact from their CEO or senior members of staff; for example having two points of contact so that the staff can check that the instruction which they have received from their CEO is legitimate. Always review requests to change ‘one off’ payment requests. Check for inconsistencies or grammatical errors, such as a misspelt company name or a slightly different email address. Ensure computer systems are secure and that antivirus software is up to date. An annual ‘Christmas Fair’ took place on Saturday 2nd December 2017 at St Andrew's Church on Bedford Street in Crewe. The fair had a Victorian theme and there were numerous stalls including a tombola, games, jewellery, cheese, jams, cakes and a prize raffle. Children were able to visit Father Christmas and receive a present from him. There were also children’s activities. Sound Sensations and Pick & Mix provided live musical entertainment. Refreshments were also available. Money raised from the stalls will go to St Andrew's Church funds. Revd Lynne said: “We've been delighted with the level of support the Fair has received from so many members of the wider community. We decided this year to offer not only free entry but also free face-painting and visits to Father Christmas, so there have been lots of happy faces here. Huge thanks to all those who have come along and to Fred Allman and the fantastic team of volunteers who organised and made the event run so well." Forthcoming Christmas events at St Andrew's Church are: Sunday 17th December 2017 (Carol Service, 4pm), Friday 22nd December (Community carol singalong in the church garden – refreshments afterwards, 6pm), Christmas Eve (Sung Parish Communion, 9:30am; Christingle and Crib Service, 4pm; Midnight Mass, 11:30pm); Christmas Day (all age Christmas Communion, 9:30am) and Friday 29th 4pm-Saturday 30th December 3pm 2017 Experience Christmas! A live telling of the Christmas Story guided by a friendly innkeeper plus lantern making, Muppets, pizza and much more. All events and activities free of charge. Weekly services at St Andrew's Church are: Sundays (Said Communion, 8am; Worship and Communion - coffee is served after this service - 9:30am; Evensong or Sung Eucharist, 4pm), Tuesdays (Said Communion, 9am; Open informal worship with coffee and cakes, 6:30pm), and Thursdays (Said Communion - coffee and cakes afterwards, 10am). Saturday Café takes place every week 12noon to 1:30pm with soup, sandwiches & cakes in a relaxed atmosphere. Cheshire East Council is to be asked to approve a new constitution – to update and streamline the legal framework of the authority and make it more user-friendly. More than 60 of the 82 elected members of the council have directly engaged in the process, which sees the constitution comprehensively reviewed for the first time since the authority came into being in 2009. A local authority’s constitution sets out the rules and processes which the council must follow. It determines how decision-making committees are constituted, how decisions are made and how the work of the council is put under the microscope through scrutiny committees and the ‘call-in’ procedure. The new constitution, if approved at a meeting of full council on December 14, will be posted on the council’s website. Councillor Paul Findlow, cabinet member for corporate policy and legal services, said: “We have listened to all the views of members and officers of the council and we have received the expert advice of consultants Bevan Brittan solicitors. “We believe that the proposed new constitution, which will be flexible and subject to further change where necessary, is fit for purpose, follows best practice and is set out in language that we can all understand. The new constitution has been whittled down from 500 pages to less than 300. A report to the council says that while the new constitution will not necessarily meet all of the aspirations of every elected member, it represents a major success and demonstrates how the political groups and officers of the council have worked together to make long-awaited improvements to the way the council operates. Cheshire East Council has been successful in securing three fines in a fortnight for fly-tipping. The penalties come as a result of investigations from Cheshire East’s community enforcement officers in Crewe’s West Street, Mill Street and Swinnerton Street as the council continues its crackdown on anti-social behaviour. The £400 fixed penalty notices were issued in a two-week period after the council and local communities worked closely together to identify problem areas and provide information. In all three cases, accurate information from residents living in the immediate areas led to questioning of the offenders and, ultimately, the issuing of fines. In one of the cases, CCTV footage was used to identify dumped gas bottles, which also led to two other people being given formal warnings. Councillor Janet Clowes, Cheshire East Council cabinet member with responsibility for safer communities, said: “The council’s campaign to reduce fly-tipping is now truly beginning to see results. With our campaigns team we have worked hard to educate people on the anti-social nature of this offence and, as a result, we have seen a reduction in the amount of waste that is being disposed of inappropriately in the borough. Santa Claus has taken time off from his busy schedule to meet and hand out presents to boys and girls. Santa will be in Nantwich from 11am to 3pm every Saturday and Sunday in December, up to 17th December 2017. Price = £3 per child, or £5 for two, and each child will receive a small gift from Santa. It’s the ninth year that Santa has setup his Grotto in the premises. Money raised will go to the Rotary Club of Nantwich’s allocated good cause. Cheshire East Council’s investigation and disciplinary committee reconvened today (4 December, 2017) to further consider concerns about officer conduct. The committee reviewed its previous decisions regarding the chief operating officer and a decision has been taken to suspend him. Appropriate arrangements will be put in place to ensure that the responsibilities of this role are covered. Do you speak Patois, Bajan, Hausa, Igbo, or Yoruba? Manchester’s and East Cheshire’s regional adoption agency – Adoption Counts, are urging people from the black African and Caribbean communities in the area to come forward and consider adoption. Children of a black African and Caribbean background often wait longer to be adopted, alongside sibling groups of two or more. While Adoption Counts, the regional adoption agency for Manchester, Cheshire East, Trafford, Salford and Trafford local authorities, has had over 300 enquiries since they launched in July 2017; they are finding it particularly challenging to find adopters who will consider black African and Caribbean children. Anyone interested in finding out more about becoming adopters in and around Stockport, Manchester, Salford, Trafford and Cheshire East should contact Adoption Counts on 0300 123 2676 or visit www.adoptioncounts.org.uk. A Cheshire care firm is backing the Weston Christmas Light Display this year and will be taking many of its clients and staff to enjoy the dazzling illuminations that help to raise funds for The Donna Louise Children’s Hospice. Side by Side Care based in Nantwich has joined other local kind-hearted companies who are supporting organiser Graham Witter. He has put together the festive light display at Carters Green Farm, Jack Lane in Weston since 2013. Each year, beginning in early October, Graham starts the process of checking, testing and arranging thousands of lights to deliver a spectacular show that delights visitors year-on-year. The festive display, including 3D animated figures, LED lights and inflatables, was originally put together for his late sister, Jessica. Despite having Cardio-facio Cutaneous syndrome, severe epilepsy and many complex health problems, she loved the sight and sound of the Christmas lights. Sadly, Jessica, aged 18, passed away in December 2015, so Graham decided to continue the festive spectacular in his sister’s memory. Jessica visited the Donna Louise Children’s Hospice each year for respite care, so this local charity seemed a perfect cause for Graham’s fundraising event. To show his appreciation, Graham continues to raise vital funds for the organisation and this year hopes to top an amazing £30,000 with the help of sponsors, a festive competition and public donations. Side by Side Care’s Registered Manager, Matthew Proctor, is delighted to be backing the event, and both staff and clients are excited about visiting the Weston light display. He said: “We offer home-based care services to a range of different people, some in the final months of their life. But seeing an amazing Christmas light show is something to keep everyone smiling. “The staff and clients have been chatting about the display for weeks and the office has already been dressed with decorations and lights of our own. Everyone has Santa hats and Christmas jumpers at the ready! The Christmas light spectacular runs every day from Friday 1 December to Thursday 28 December, from 6.15pm to 9pm every evening. Cheshire East Council is set to improve the way it delivers adult social care. Cheshire East Council is increasing spending significantly in adult social care – investing £10.9m in 2018/19. However, the council faces a significant financial challenge – via reductions in government grants, increased demand for care services and rising costs. The aim is to boost the quality, capacity, flexibility, choice, value for money and the positive impact on the lives of people supported by these services – to deliver the right support, in the right place, at the right time. The cabinet is due to consider proposals to recommission care at home, residential care and respite care when it meets on December 5. This is usual local authority practice. A review of respite care provision, with wide stakeholder consultation, is also proposed, to identify ways to improve efficiency and effectiveness and reduce low occupancy of block-booked beds. Councillor Janet Clowes, Cheshire East Council cabinet member for adult social care and integration, said: “The current offer of respite care was intended to enable carers to access respite in a variety of geographical locations. “However, there are issues with low occupancy and, as the system operates on block provision (where providers get paid a block amount of money even if the beds are not occupied) it means that some of the beds are remaining unoccupied. “There is, therefore, a need to review the current provision, to ensure it delivers real choice, value for money and the best outcomes for respite care users. Subject to consultation, some beds are proposed to be ‘block purchased’ to be available all year round to continue to provide geographical coverage across the borough – together with additional beds purchased as and when necessary to meet demand and in the appropriate location. “Carers have told us that they want an alternative respite offer to the bed-based services that are currently available. The council is now carrying out a review and consulting with carers and other stakeholders about how the alternative respite provision should be delivered, in order to more effectively and efficiently provide the right support, in the right place, at the right time. The council is proposing to change the way it commissions care at home (domiciliary care) for our local residents. This service will be for adults with less complex care and support needs residing in Cheshire East. There is a need to transform the care and support offer to ensure Cheshire has greater capacity and flexibility – and an improved range of services that deliver value for money for our residents. The council is working with our local clinical commissioning groups (CCGs) to explore options to jointly commission care and support services delivered to residents in their home. Cllr Liz Wardlaw, cabinet member for health, said: “With our partners, we need to ensure that health and social care services provide people with safe, effective, compassionate high-quality care and that, as partners, we encourage care services to improve their care and support. Cheshire East also proposes to change the way it commissions residential care for residents who receive financial support for their care from the authority. Under the proposed new system, providers of residential homes would be asked to sign up to a ‘framework’, which would ensure they deliver the highest possible quality, care and support. The council is working with South Cheshire and Eastern Cheshire CCGs to ensure the seamless provision of care and support during the transition to new provision which, if agreed, would take place in 2018. A group of young people came to Crewe Library to celebrate the completion of a project to build ‘Crewecraft’. The town has been recreated with the popular video building game Minecraft, as part of an educational project, part-funded by Cheshire East Council. CreweCraft, has been supported by a grant from the Heritage Lottery Fund, with an award of almost £26,000 from the Young Roots Programme – a funding stream to help young people aged 11 to 25 explore their heritage – made possible by money raised by National Lottery players. To celebrate the completion of building Crewe in Minecraft, 13 young people from Crewe and their families went to a celebration event on Saturday which was also attended by Mayor of Cheshire East, Councillor Arthur Moran. Minecraft has captured the imagination of young people who play the computer game to develop their creative and digital skills. Youngsters aged 10-15 took part part in a series of workshops to recreate Crewe’s historic buildings in three-dimensional digital formats. Cheshire East Council’s cultural economy team delivered the project with the support of public libraries, Cheshire Archives, Crewe Town Council and the Crewe History Society. Using the rich archive about Crewe, through Minecraft, young people learnt about the history of the town as they recreated old buildings and landmarks from old town plans and photographs within a digital world, built to scale. Cllr Stockton, said: “This has been a terrific project which has truly got young people into the spirit of learning about their heritage in a way that relates to them on an everyday level. The project is part of the council’s Shift programme, which celebrates and promotes digital learning, skills and development across the borough for all ages. Participants have developed strong team-working abilities and communication skills, while library staff also learnt new digital skills through the Minecraft map. Pupils and teachers from Beechwood Primary School attended sessions to take part and learn about the heritage of their local area. A completed Minecraft map will be available for young people to explore alongside photographs, video and archive material, at Crewe Library from January. Cheshire East Council is consulting on a proposed new housing strategy, setting out the authority’s vision and priorities for housing until 2023. The council is profiling the value and importance of quality housing in people’s lives, wellbeing, communities and the economy. The consultation begins today (Monday) and continues into the New Year. The borough’s Local Plan includes provision for a housing requirement of at least 36,000 new homes and 380 hectares of land for business, general industrial and storage and distribution uses up until 2030. This is to reflect a strong anticipated jobs growth rate of around 1,600 jobs per year, or 31,400 by 2030. Nationally, it is estimated the country needs to build more than 250,000 new homes each year. Cheshire East has a strong ambition for jobs-led economic expansion and housing is seen as essential to support this continuous growth. The council wishes to see that homes built across the borough are of the right type and are built in the right place, offering a range of high-quality housing that is affordable and meets the needs of young people, families and older residents. Councillor Ainsley Arnold, cabinet member for housing, planning and regeneration, said: “Our proposed new housing strategy contains our ambitions for facilitating the delivery of affordable housing alongside a robust, well-managed rental and sales market. We welcome the opportunity for our residents to engage with us so that we can develop our thinking further on this important topic. The draft housing strategy consultation continues until Monday, January 8, 2018.
or email the strategic housing team at: housingpolicy@cheshireeast.gov.uk or contact strategic housing on 0300 123 5500. The Rotary Club of Crewe Christmas Sleigh with Santa will be making its annual visit to the streets of Crewe, Wistaston and Haslington in the run up to the big day. Monday 4th December 2017 - 17:30 Start from The Woodside and cover Elm Drive estate Emmerdale and Windermere. Tues 5th 18:00 Start from New Life Centre and covers Brookhouse, Salisbury, Manor Way, Bedford St., Earnest St. Claighton Ave.
Weds 6th 17:15 Start from Mountbatten Court and covers Alton St, Moreton Rd, Readesdale, Valley Rd, Langley Dr, Stewart St.
Thurs 7th 17:30 Start from The Georges and covers Bilton Way, Sunneybank, Marshfield Lodgefield Snowden Coppenhall Lane. Fri 8th 17:30 Start from The Elms Covering Coronation St, Springfield Gardens, Lime Tree Ave, Acacia Ash Rd. Sat 9th 16:00 Start from the New Life Centre covering Fuller Dr, Broadleigh Way, Charlecote, Westbury, Dunhelm, Millrace. Whitlow. Mon 11th 18:00 Start from School Crescent covering the Coleridge Way Estate, Bentley Close, Stephenson Dr, Lea Ave.
Tues 12th 17:30 Start from Layby covering Primrose Ave Estate. Wed 13th 17:30 Start from St Stephens Church covering Ruskin Rd Dane Bank Gainsborough Rd. Thurs 14th 18:00 Start from Sedgmere Ave covering the Sedgmere Ave and Parkers Rd estates. Fri 15th 17:30 Start from Yew Tree Rd covering Wistaston Poets estate, Princess Dr, Sandringham, Sandilands, Church Lane. Sat 16th 16:30 Start from Laidon Ave covering Wistaston, Laidon Ave, Merryvale, Edgewood, Ropebank Glaisdale. Sun 17th 16:30 Start from Beechmere covering Rolls Ave, Farmleigh Dr and estates. Mon 18th 18:00 Start from Cosey Club Haslington and covering Haslington. Tues 19th 17:45 Start The Captain webb and covering Underwood Lane North, Kestrel, Sherringham, Mablins Lane Wareham, Bleasdale. A tracker is being used again this year so you can check when Santa will be close to you. Sunday 17th December 2017 - ASDA 10:00 - 14:00. Saturday 23rd TESCO (Crewe) 08:00 -14:00. Organisations and charities will be invited to apply for funds in the new year. A Rotary Club of Crewe representative said, “It is a pleasure to see the smiling faces of the youngsters and at the same time raise money to support organisations in the town." The Crewe Christmas lights switch on took place on Friday 24th November 2017 in the town centre. Entertainment on the Market Square was from 5pm to 9pm and included music from TheFunkyChoir.com, Ruskin High School Choir, Ruskin High School Dance Team, Jay Adkins – magician and illusionist, a fire performer, singer Thomas Teago and music from a Zoo DJ. Silk 106.9 helped to compere the event. There were activities for children and families with a Santa’s Grotto, face painting, Christmas characters, and a mini-funfair. Crewe Cosmopolitan Food Festival 2017 @ Christmas added a festive flavour to Market Street and Queensway with numerous food and speciality stalls. Several shops in The Market Centre and throughout town stayed open late, many with Black Friday bargains on offer. Laura Smith, Labour MP for Crewe and Nantwich and Councillor Diane Yates, Mayor of Crewe thanked everyone for attending the event and supporting the town. Following a countdown the lights were switched on at 7pm by Councillor Diane Yates, Mayor of Crewe and two special guests – Jade and Millie. The switch on was followed by a spectacular firework display by local company Blitz Fireworks. DJ Tony from Zoo kept the crowd in an upbeat mood by playing several classic dance music tunes. The event was organised by Crewe Town Council in partnership with Silk 106.9 and was enjoyed by thousands of people. Don't click on links or attachments within unsolicited emails. The number of online shopping related phishing emails increases significantly during the holiday period. Cheshire East Council staff, service users and partner agencies joined together to inspire and challenge one another to improve the ways domestic abuse and sexual violence are responded to. The event held at Middlewich Community Church, which was themed around ‘change’, was organised by the Cheshire East Domestic Abuse and Sexual Violence Partnership (CEDSAP) and marked White Ribbon Day (November 25), otherwise known as the International Day for the Elimination of Violence against Women. Those who attended the event listened to the experiences of people affected by domestic abuse and sexual violence and considered how the services being offered could be changed as a result. How services can work better together and how people with complex and multiple needs are being supported were discussed, as well as how services are working with those who harm to ‘change the root cause’ of the problem and increase the safety of both adults and children. Attendees also learned about new tools and resources available to support very young children and those in school and heard from Saskia Ritchie, chief executive of Cheshire Without Abuse. The charity has been supporting families affected by domestic abuse for 40 years and marked this milestone during a gala dinner earlier this month. During the gala they chose to celebrate the commitment of six individuals, agencies and organisations, who they believe make a significant difference locally in helping to tackle domestic abuse – CEDSAP was one of them. Saskia said: “Over the last 40 years we are proud to have forged strong relationships with partners as a core member of Cheshire East Domestic Abuse and Sexual Violence Partnership. “Events such as this provide an invaluable opportunity for us to get together, share learning and explore new ways of working, so that together we can help more people open the door to safety and support them through the challenges they face. The partnership’s long-term vision for tackling domestic abuse and sexual violence was launched today (November 24). Attendees also heard about Operation Enhance, an early-intervention initiative being undertaken by Cheshire police and the Independent Domestic Violence Advocate (IDVA) service. The initiative runs during weekends and Monday daytimes – often the peak periods for reported domestic abuse incidents – and allows the police and IDVAs to see victims in the immediate aftermath of an incident, when they need support to think through their choices and plans to be safe. A dedicated police officer and an IDVA jointly assess the domestic abuse incidents reported and carry out face-to-face follow-up visits to each victim, providing specialist information, advice and support. The initiative builds on the range of services already offered in Cheshire East that support both those who are affected by domestic abuse – victims and their families – and those who need to change abusive behaviours. Councillor Jos Saunders, Cheshire East Council cabinet member for children and families, said: “Domestic abuse can happen to anyone – no matter who you are, your gender, background, what you do or where you live – and tackling it remains a top priority in Cheshire East. If you are affected by domestic abuse or you are concerned for someone else, call Cheshire East’s domestic abuse hub on 0300 123 5101 at any time. In an emergency, always call 999. Cheshire East Council was proud to host a multi-faith conference that brought together people of all faiths and representatives from many local organisations across the area. The aim of the event was to enable people with a wide range of views and experiences to have a frank, open and honest conversation about all aspects of community life in Cheshire East, with particular focus on race, religion, diversity and access to services. Cheshire East Council leader Councillor Rachel Bailey attended the conference (on Saturday, November 18) and the keynote speaker was the Rev Charles Kwaku-Odoi, of Manchester Black and Minority Ethnic (BME) Network. He shared valuable lessons and advice from their work in the city, where people have overcome challenges following the terrorist attack in Manchester earlier in the year. One of the key messages was the importance of connecting organisations so they work together, particularly health services and other vital services supporting people at times of crisis and emergency. The Rev Kwaku-Odoi also stressed the importance of learning from others in the region and sharing expertise. Councillor Liz Wardlaw, Cheshire East Council cabinet member for health, who spoke at the event, said, “Everyone in Cheshire East has the right to feel safe and to live healthy and peaceful lives. There are now more than 100 languages spoken by residents in our diverse community, so it’s vital that we enable people to share their knowledge and experiences to see where we can work better together. Highlights from the event, held at South Cheshire College, included speakers sharing their experiences of ‘my life in Crewe’. Elena Cholakova-Pereira is a volunteer ‘Community Connector’, who helps people in her community connect with local services and each other. Elena gave a very powerful talk about the many barriers people can face when trying to access services. Examples ranged from people struggling with being able to navigate electronic telephone answering services to requiring different forms of registration and documentation before being able to get the help needed – as sometimes this can take many weeks to resolve. Jubeyar Ahmed, secretary of the Shah Jalal Mosque in Crewe, has lived in Crewe for more than 20 years and spoke of the many nationalities of people who are Muslim and attend the mosque. Jubeyar encouraged everyone to help improve community relations by celebrating local diversity and enjoying life together in Crewe. Sadly, in recent times, there has been some racial tension and Jubeyar encouraged everyone to try and understand others and build strong, tolerant communities. The Rev Jennie Wakefield, chair of Crewe Churches Together, shared local experiences of church staff and volunteers helping homeless people in the area and how inspired she was that volunteers always stepped up and supported people who needed help. All of the conversation and feedback from the faith and hope multi-faith conference will form part of a community cohesion action plan, which is being led by Cheshire East Council. If you are interested in helping to make things better in your local community, please get in touch in the first instance with Loreen Chikwira, community cohesion manager for Cheshire East Council, at: communities@cheshireeast.gov.uk or phone 01270 685880.